One of 7 new fish ladders on the Wind River Indian Reservation. Earlier this month in a Worland courthouse, a judge signed a final decree that brought to end what’s probably the longest-running lawsuit in Wyoming history. After 37 years, the lawsuit decided who exactly owns the water rights in and around the Wind River Indian Reservation. Those involved in the suit are now looking to the future. Northern Arapaho Tribal Liaison Gary Collins loads people onto a giant bus. He’s taking them on a tour of the reservation’s irrigation project that crisscrosses the entire Wind River Valley. It’s only early September but, true to form, it starts to blizzard. Through the falling snow, hay fields make a patchwork of green farmland. And you can’t bale wet hay. It’s just one of the many challenges of ranching in Wyoming. But you also can’t grow hay without a lot of water. That was the thinking way back in the 1860’s when the U.S. government built ditches to irrigate the newly established Wind River Indian Reservation. The idea was to turn the reservation’s two nomadic tribes into farmers. Most of the irrigation project was built in the 1920’s.But the federal government never properly funded the project’s construction. In fact, it’s still only 80 percent complete. And so when droughts came along in the 70’s, trouble brewed. Manager Nancy McCann has been working on what’s called the Bighorn Stream Adjudication lawsuit since it started. Meaning that the tribes had to give permission to citizens of Riverton to drill new water wells on the reservation. At that time the State Engineer was George Christopulos. "We know that water is life. And we use water in our thinking every day, our sweat lodges, our Sun Dance. And growing up, I had to carry water to my house for my family. I respected water early on in my life because when you carry water you know its value." Remember, this was 37 years ago. No computers…no GPS. Half the reason the lawsuit took so long was because it was a logistical nightmare. It took two state supreme-court cases just to figure out whether non-tribal heirs living on tribal lands should receive water rights. Along the way there have been other problems too, like poor communication between the tribes and state water officials. And former Eastern Shoshone Tribal Liaison Sara Robinson says government agencies are dragging their feet to rehabilitate the incomplete irrigation system. She says it’s losing almost half its flow. 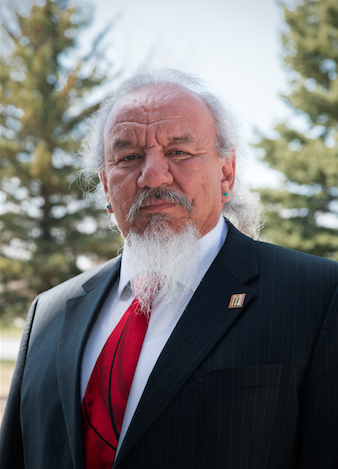 Non-tribal rancher Fred Tammany owns land inside the reservation boundary. He says some people aren’t getting what they deserve. So Tammany started an organization bringing together tribal and non-tribal water users on the reservation. This month, they’ll install three water delivery measurement systems on the ditches. And they’ve got commitments from the tribes and Bureau of Indian Affairs to match $500,000 toward work on the system. But Sara Robinson estimates it will take $100 million to finish the irrigation system. Where that much money will come from, she’s not sure. Everybody climbs off the bus and walks down a gravel road to the canal where a metal structure has been installed. A wide conveyor belt turns slowly. 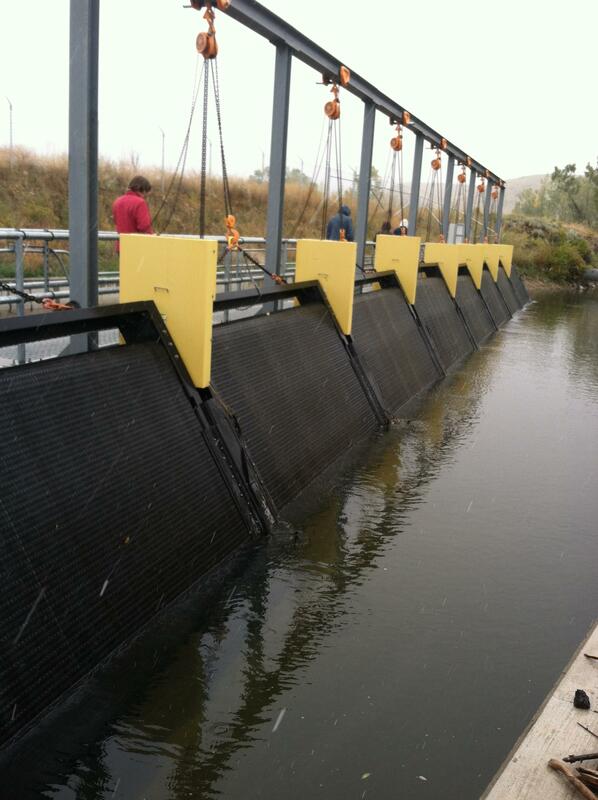 Gary Collins says it’s a fish ladder to keep spawning fish from swimming into the ditches. The tribes have installed seven of them in the last five years. Each cost half a million dollars. Collins says it was worth it because it’s not just the economics of water that matter. Even with the decree signed, many wonder if it’ll be another 37 years of hard work and disagreement before the irrigation system is complete. But Collins says a more efficient system means more water can flow back into the Big and Little Wind Rivers. 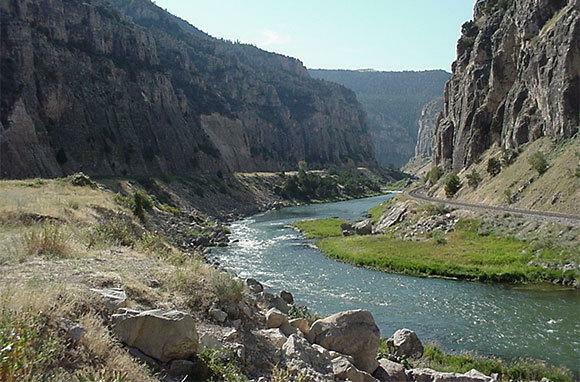 And that means a healthier river for recreation and fisheries on the Wind River Indian Reservation. Possibly the longest running lawsuit in Wyoming history came to an end last Friday in Worland. Judge Robert Skar signed a final decree that brought closure to a controversial water rights case. The case examined some 20,000 possible water rights claims in and around the Wind River Indian Reservation over the course of 37 years. Water law professor Jason Robison was at the historic signing. 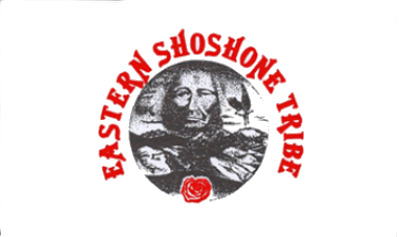 Saying that it wants more Tribal Sovereignty, the Northern Arapaho tribe is leaving the Joint Tribal Business Council it had shared with the Eastern Shoshone Tribe. Calling it a historic move The Northern Arapaho tribe has dissolved the Joint Business Council, but in a prepared statement, the Eastern Shoshone tribe says they won’t go along with the plan. The main reason is that the decision was never approved by their business council. Over the years it's been a challenge to drum up political engagement on the Wind River Reservation. But things may be different this year with eight tribal members running for office in multiple parties. It's an unusually high number. Democratic Representative Patrick Goggles says it’s his theory that what has inspired so much political gusto is the shifting dynamic in the Republican Party. He says the politicizing of the right wing is happening everywhere, including Wind River.